Renewable Energy is a rapidly growing industry in the 21st century. 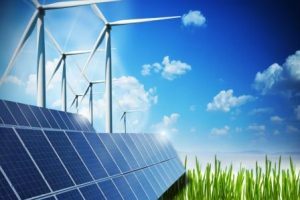 Research and development are flourishing in the attempt to reduce, reuse and recycle energy, with a focus on wind, geothermal and solar energy in particular. Countries the world over are competing to maximize resources and start production facilities. To enable effective implementation it is necessary to communicate with people in their native language. Language Scientific has been providing high quality renewable energy translation services since our inception in 1999. We continue to match experts in the renewable energy industry with the proper linguistic training to work on your projects. While most of the communication at the top level can be carried out in English, there are vertical teams that contribute to the products and services. The laborers who work at the photovoltaic power stations or wind farms must also understand what they are being asked to do. Their safety and understanding of the SOPs or user manuals are no less important. Moreover, having access to information in one’s native language enhances productivity, increases safety and indirectly reduces the operating costs for the manufacturers and services providers. Successful product launches in foreign countries often hinge upon advertisements and informational materials in their native language. One of the biggest challenges in the Renewable Energy sector is the constant development of terms and concepts. This must be communicated consistently and accurately in target languages. Language Scientific has been a longstanding collaborator in the Energy sector, working with clients in the Oil & Gas and Alternative Energy fields, and can enable effective communication in more than 215 languages. Language Scientific provides comprehensive and customized globalization solutions that are cost effective and guarantee swift turnaround times. Our unique methodology that clients depend on delivers consistently clear, accurate translation of high-value information. To learn more about Language Scientific’s renewable energy translation experience, please use the contact us section below or to request a quote for renewable energy translation services please use the orange button to the right.